No plans to increase fuel price – NNPC – Royal Times of Nigeria. 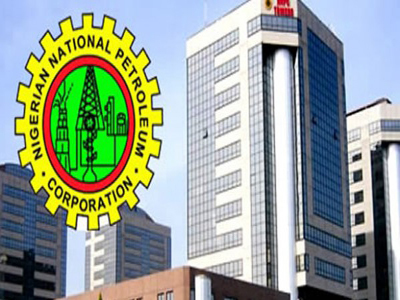 The Nigerian National Petroleum Corporation (NNPC) has said there are no plans to increase the pump price of petrol. The corporation made this known in a statement by Mr Ndu Ughamadu, its Group General Manager, Group Public Affairs Division. He said; “The recent increase in bridging allowance to transporters from N6.20 to N7.20 per litre would not lead to an increase in the pump price. ”There is no plan by the government or any of its agencies to review the pump price of petrol above N145 per litre. “Bridging allowance refers to the cost element built into the products pricing template to ensure a uniform price of petrol across the country. “Lightering expenses involve charges for moving products to depot area from mother vessels by light vessels due to the inability of the former to berth in shallow water depth. ”What happened, in simple language, is a rebalancing of the margins allowed and approved for stakeholders. ”So what the Petroleum Products Pricing Regulatory Agency, PPPRA, did was to take N1 from lightering expenses and add same to the bridging allowance. ”That is how we arrived at N7.20. Therefore, PMS remains at the ceiling of N145 per litre,’’ it said. “The country had 1.3 billion litres of petrol as at Wednesday which translated to an inventory of 36 days. He noted that the supply availability was bolstered with the production of petrol from the three refineries in Port Harcourt, Warri and Kaduna. “There is absolutely no risk of shortage in supply as we also continue to import to support the production from the refineries. ”We have informed the Department of Petroleum Resources to enforce the prevailing N145 per litre price regime and also ensure that every service station that has fuel is selling to the public,’’ .